Home / News / Politics / Duterte to CBCP Bishop David: "Ito ang magnanakaw sa simbahan, para ipakain sa pamilya niya." Duterte to CBCP Bishop David: "Ito ang magnanakaw sa simbahan, para ipakain sa pamilya niya." 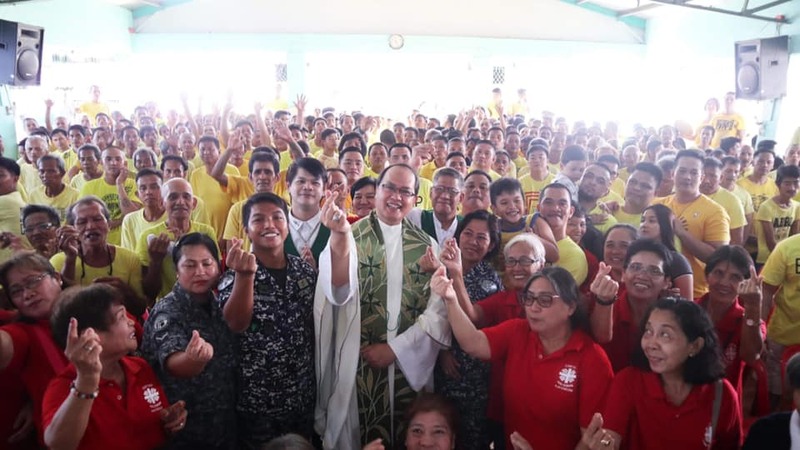 President Rodrigo Duterte during his recent visit to Cavite for the inauguration of the Cavite Gateway Terminal once again put emphasis on the alleged corruption in the Catholic Church. During his speech, he named one Bishop who allegedly steal money and offerings in the Catholic Church to give for his family. The bishop who he named "David" was Kalookan Bishop Pablo Virgilio David. “Ikaw, David, tumahimik ka ha. Sige ka lang hingi ng contribution diyan sa mga… Saan ang pera ng mga tao? Ang g*** sige lang hingi, may second collection pa [You David, better shut up. You ask for contributions…Where do the people’s money go? The fool even asks for a second collection],” Duterte said. On November 2, after President Duterte has jokingly said to to pray to 'Santo Rodrigo' and Catholic saints are ‘gago’ and ‘lasenggo,’ so they should just place his photo at their altars, Bishop David made a remark against Duterte and called on Filipino Catholics to pray for the country and for President Duterte because is a 'very sick' man. “I think it should be obvious to people by now that our country is being led by a very sick man. We pray for him. We pray for our country,” David said. 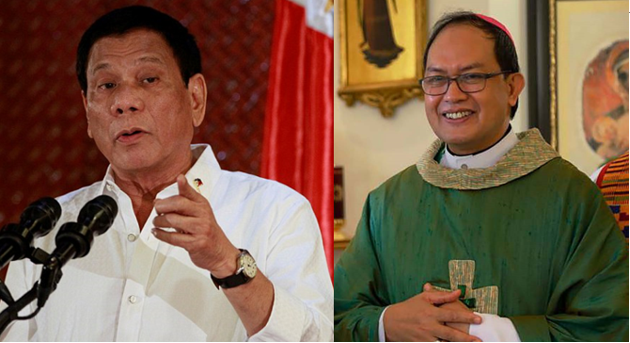 After President Duterte accuses Bishop David of stealing in the Catholic Church, the Kalookan bishop said in a Facebook post that the President must be confused in someone else because he is the only "Bishop David" in the CBCP. David even said that his parent never taught him to steal. The bishop presides over the president by saying that sometimes people who are sick do not really know what they are saying so they need to understand. “You see, people who are sick sometimes do not know what they are talking about, so we should just bear with them,” Bishop David said in his post. Duterte on saying "God was stupid"
On President Duterte's controversial remark that triggered the public outrage for saying God was stupid, he defends that his God is different from the god of his critics. Duterte also dared the Catholic Church to have a debate with him to expose how corrupt and the sins of the priest. 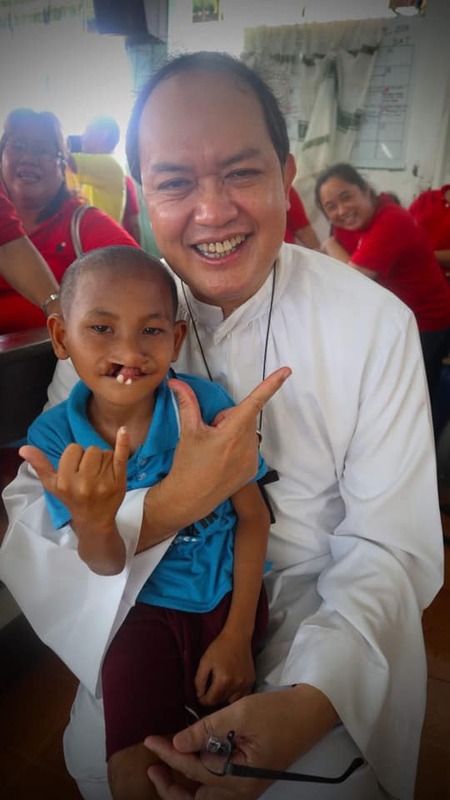 Aside from being a vice president of the CBCP, Bishop David is known for its programs that apply to the Diocese of Kalookan especially for poor and illegal medicine users. David launched a community-based rehabilitation program that provides new users and pushers in Caloocan, Navotas and Malabon. The bishop has repeatedly criticized the doings associated with government's war on illegal medicine. He believes addiction is a disease that needs to be treated.